So… It’s January. As everyone knows, that means we’re supposed to pretend that we’re going to make sudden and major sweeping changes to become all-around better human beings. If you have decent friends, they’ll pretend that they believe these changes to be real and sustainable, and then in February they will tactfully “forget” that we ever made these commitments. So anyways, I’m going to follow protocol and eat something healthy. 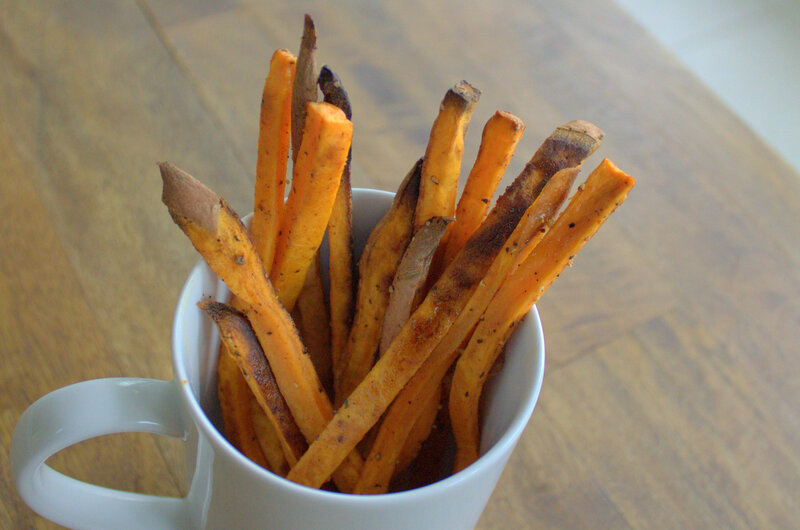 Hence, Sweet Potato Fries! In addition to my desire to eat something healthy, (ok, well, maybe significantly more than my desire to eat something healthy), there exists my desire to avoid seeing an old sweet potato get tossed in the trash for lack of use. 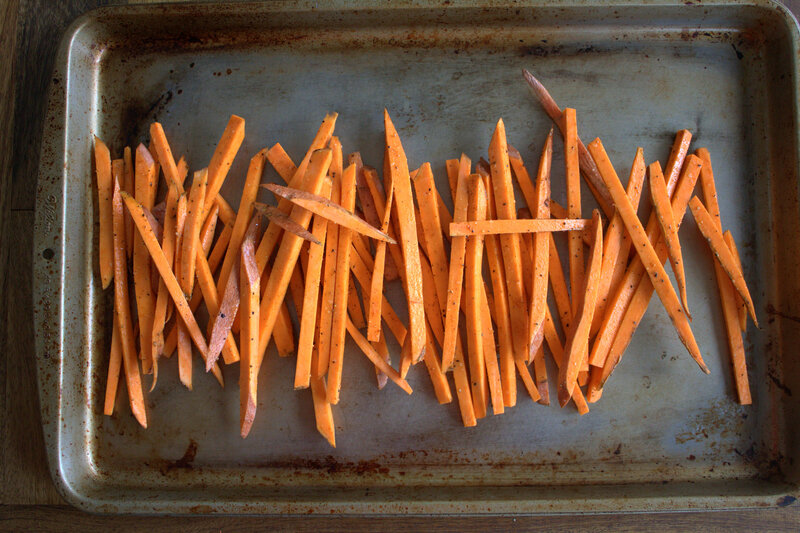 That’s the problem with trying to eat healthy food – it always sounds like a great idea at the grocery store, and then reality sets in when you realize you have the ability to watch a single sweet potato rot on the kitchen counter over the course of an entire month while you make daily excuses not to eat it. I found this recipe right where I always go for advice on healthy eating – to a Paula Deen link on the Food Network website. 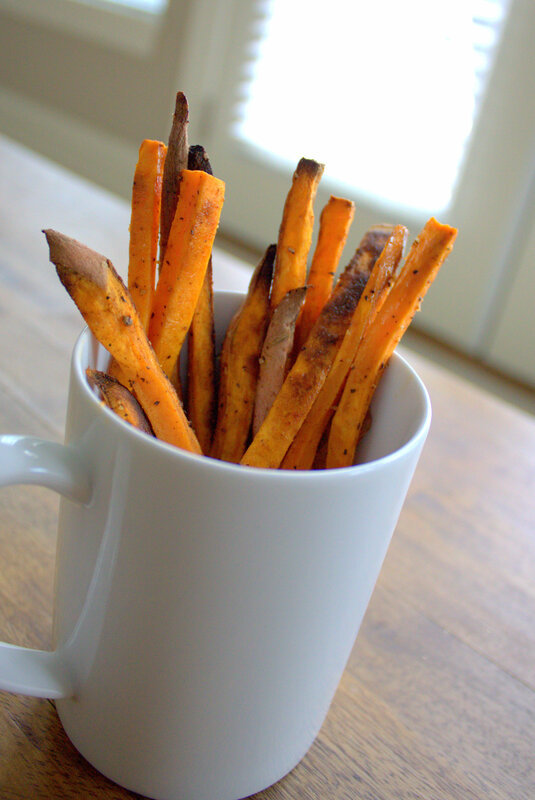 Here’s a link to the recipe: Sweet Potato Fries by Paula Deen. The only thing I might add is that I found the suggested cooking time of 20 minutes to be a little too short to get my fries crispy, and I ended up adding a few more. 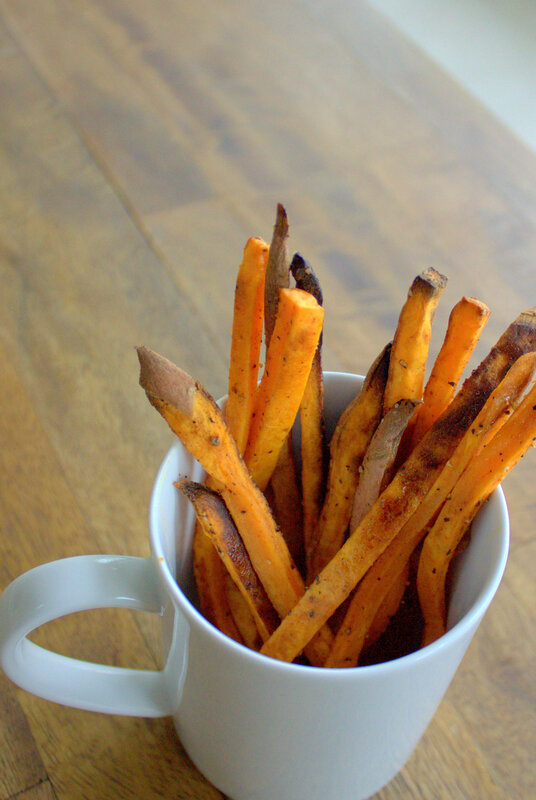 I feel like I could take 2 minutes of my 5k time just by staring at the picture of those ultra-healthy looking fries. Too bad their effect will likely be worn off before the next race. I do think that’s likely although results may vary, and the Bahama Llama can’t guarantee how fast you’ll be or for how long after viewing the photos. I would suggest eating the food for a longer lasting effect.